PoC is a comprehensive health technology solution that enables post-acute care coordination at the point-of-care without the need for an additional layer and cost of care navigators. 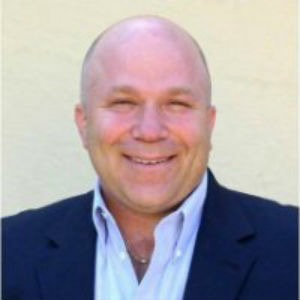 Bio: For over 20-years, Chris has proven success as a health care executive in broad areas within the health care industry, including: Inpatient, outpatient, physician, medical, and diagnostic services. He has year over year success achieving sales, profit, and growth objectives with start-up, turnaround, and dynamic growth organizations and is very adept at fostering relationships and delivering on customer expectations. His work style is focused, performance driven and outcome oriented. The scope of his work spans strategic planning, new business development, consulting, analytics, operations management, acquisitions and integration, P&L management, leadership development, change management, and performance improvement. 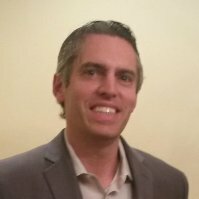 Chris has operational know-how across multiple provider sectors and a working knowledge of health care reforms, regulatory, reimbursement, competitive macro trends and the interrelated impact and opportunities they can manifest across the health care continuum at a micro level. He is skilled using large data repositories to conduct broad scale analyses across care settings, assess opportunities and competitive dynamics and build market-responsive business plans that include targeted implementation plans. As Co-Managing Partner of PAC Planning Services, Chris demonstrates success with health systems and ACOs, and their participating providers and partners, including: hospitals, PCPs, Hospitalist groups, SNF Medical Home and Medical Staff, SNFs, home health agencies, and hospice providers. Founded 2015, AccountedCare is the culmination of years of experience working with physicians, skilled nursing facilities, hospitals, and home health care providers and the patients that transition through the post-acute care continuum of care. AccountedCare’s application PoC acts as a mobile HUB for ‘Process of Care Coordination’ that allows provider teams to capture and share real-time information and communicate across all post-acute care settings. Biography: For over 25-years, Norma has served as a corporate consultant, coach, and business development expert to healthcare providers guiding executive and leadership teams through successful systems design, integration and reorganization primarily driven by reimbursement changes and healthcare reform. Her work has benefitted multi-site post-acute companies with average annual revenues between $200 million to $1.4 billion in public, non-profit/academic and private sectors. The scope of her work crosses the post-acute provider and payer contracting continuum, including Home Health, Hospice, FQHCs and Medical Homes. 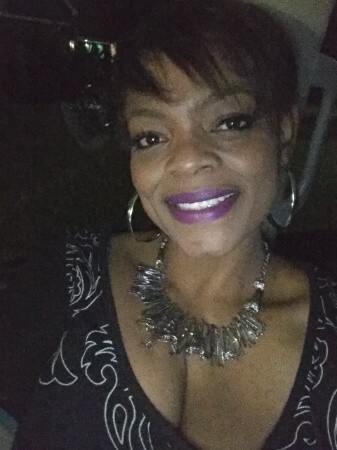 She has hands-on knowledge in rehab hospital and SNF network start-ups, strategic planning, new market/referral development, clinical/service collaborations among acute and post-acute networks, system integration, customized trend/performance reports and data analytics, product/service line growth, managed care contracting and payer mix diversification. On average, her work has helped healthcare organizations to diversify programs, build new revenue streams and improve year over year margin performance 5-8%, as well as improve health systems’ patient retention and organic revenue capture rates 8-10% on a YOY basis. As Co-Managing Partner of PAC Planning Services Norma’s focus today is helping hospitals, health systems and ACO sponsor groups to develop and/or integrate post-acute provider networks and services that improve care coordination and clinical outcomes, manage patient service utilization and help to decrease overall health system spend. Norma is a Graduate of Arkansas State University and the Haas School of Business University of California Berkeley. AccountedCare provides incredible value for patients in need of post-acute care services. Our process protocols and “Process of Care” solution allows patients to be more involved in their care and care process plan through significantly improved care team engagement at the point-of-care. Typically elderly patients that have a medical event and are admitted for a stay in the hospital face a fragmented system of providers for their post-acute care. Patients make important care transition choices with very little time to understand and research provider organizations. ACOs have quality and financial incentives to organize a care continuum for patients. AccountedCare provides the framework and tools for the ACO to organize a care continuum on behalf of patients in their network and with informed patient input. AccountedCare provides each patient and their ACO participating primary care physician with the ability to make informed post-acute care provider preference choices prior to an event occurring. When and if a patient accesses the acute care setting information sharing and communication systems using PoC are in place for the patient’s preferred care team. Performance Data & Reporting based upon rigorous claims analysis Budgets and goals by Patient using analytics and patient specific data including risk-scoring Enabling technology for Care Team to securely communicate budgets, risk-score, and other key data Interoperability, ability to share patient information and data. The starting point for any ACO and participating providers in the ACO is to gain an understanding of the baseline performance of their post-acute care using the PoC Performance Data & Reporting based upon claims data. CMS provides every ACO with access to all claims data for patients in the ACO, all Medicare Part A and B claims paid including hospital, physician, SNF, home care, outpatient rehab, and more. Using the claims data and the PoC solution we provide ACO participating providers with the information they need to inform their patients of preferred providers if they require post-acute care services. AccountedCare will provide performance data and reporting for each participating ACO primary care physician in exchange for contributing funds. The time period for the analysis is for the most recent 12-month period that claims data is available for through the ACO. AccountedCare will request a standard set of data from the ACO for the analysis, the analysis is dependent upon the completeness of the request data received from the ACO. Insight for each primary care physician in the ACO into post-acute care provider performance is a first step in the process to recommend high level post-acute care physicians, NPs, SNFs, Home Care agencies, and other post-acute care providers to your ACO patients. A top priority for ACOs and primary care physicians participating in ACOs is improving the experience and spend for patients transitioning through the post-acute care continuum. 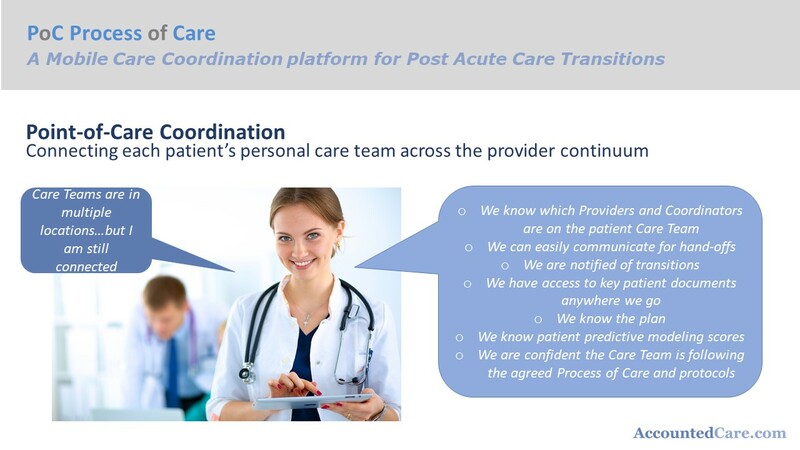 AccountedCare’s PoC solution provides the ability for ACOs and ACO participating providers to gain a detailed view into the performance of post-acute care providers in their network and effectively track and manage transitions of care using the AccountedCare tools without the need for hiring care navigators. Interoperability, ability to share patient information and data. A top priority for hospital sponsored ACOs is improving the experience and spend for patients transitioning through the post-acute care continuum. AccountedCare’s PoC solution provides the ability for ACOs to gain a detailed view into the performance of post-acute care providers in their network and effectively track and manage transitions of care using the AccountedCare tools without the need for hiring care navigators. The starting point for any ACO is to gain an understanding of the baseline performance of their post-acute care using the PoC Performance Data & Reporting based upon claims data. CMS provides every ACO with access to all claims data for patients in the ACO, all Medicare Part A and B claims paid including hospital, physician, SNF, home care, outpatient rehab, and more. Using the claims data and the PoC solution we provide ACO participating providers with the information they need to inform their patients of preferred providers if they require post-acute care services. AccountedCare will provide performance data and reporting for each participating hospital sponsored ACO in exchange for contributing funds. The time period for the analysis is for the most recent 12-month period that claims data is available for through the ACO. AccountedCare will request a standard set of data from the ACO for the analysis, the analysis is dependent upon the completeness of the request data received from the ACO. Insight for the hospital sponsored ACO into post-acute care provider performance is a first step in the process to recommend high level post-acute care physicians, NPs, SNFs, Home Care agencies, and other post-acute care providers to your ACO patients. AccountedCare partners with physician practices that operate in the post-acute care space. For example, Hospitalist practices that have expanded or are interested in expanding their services into SNFs are particularly viable partners. These practices have the ability to approach ACOs to manage patient episodes in the post-acute care space. AccountedCare’s solutions can help them do this. Using the PoC program gives physician practices the ability to coordinate care at the point-of-care in the post-acute care space in addition to delivering medical care. This allows the ACO the ability to forego using Care Navigators in the post-acute care space. In addition to working with physician practices to establish and build a post-acute care services, Chris Wasel, Chief Operating Officer, has extensive experience working with Nurse Practitioner and APRN groups. In addition to physician partners, Chris and AccountedCare are in discussions with large NP/APRN practices to offer a turnkey solution to ACOs to manage ACO patients in the post-acute care space (in a similar manner as we described for physicians in the “Partners” section. This type of collaboration has significant potential as we believe a turnkey outsourcing service and solution will be very attractive to ACOs. Plans to relocate by September 2019, New Orleans and top option. AccountedCare developed the PoC solution to support post-acute provider care team efforts to deliver more effective and efficient care with a plan to add a patient engagement feature to the solution. AccountedCare plans to use funding and grants to establish a pilot or trial to specifically test the patient engagement feature. The patient engagement feature will provide a mechanism for ACO patients to make informed choices around their personally preferred post-acute care providers. AccountedCare believes providing patients with an avenue for choosing their preferred providers prior to potential acute care and post-acute care encounters will improve patient satisfaction and improve the care coordination process and provider satisfaction, effectiveness, and efficiency. This ties into our overall funding plan too use funds raised to test the patient engagement feature and secure the services of sales resources. Our team’s extensive experience working with patients in the post-acute care space provided the insight that we needed to fully understand how to improve patient transitions and patient care coordination. Our experience has allowed us to develop highly effective and efficient standard process protocols to improve the patient experience and lower cost. We have tested these processes over the last several years and in parallel have developed the technology tools to implement a comprehensive solution. Our process protocols and “Process of Care” solution allows patients to be more involved in their care and care process plan through significantly improved care team engagement at the point-of-care. The solution provides incredible value for patients and significant potential financial value for provider teams. 04/01/2019 - Liked the project. 02/12/2019 - Liked the project. 03/01/2018 - Interested in helping your project as a mentor or team member.